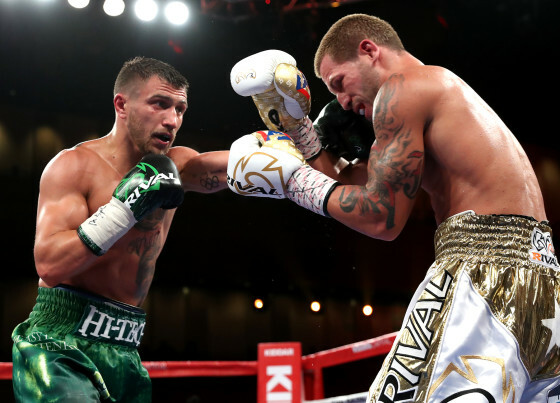 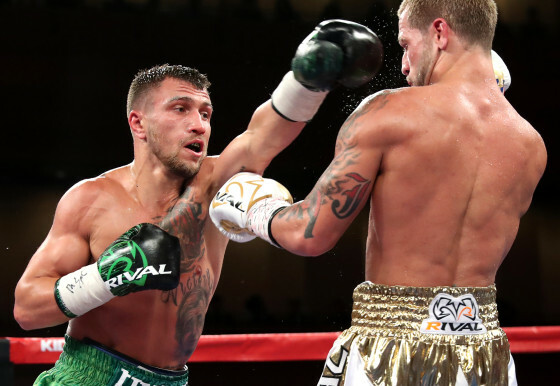 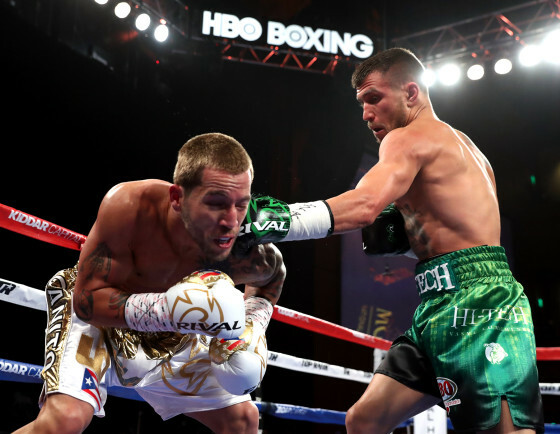 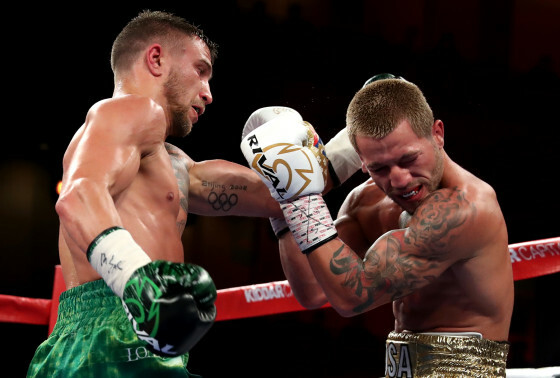 On Saturday night, WBO junior lightweight champion Vasyl Lomachenko successfully defended his WBO junior lightweight title with a 9th round TKO over former champion Jason Sosa. 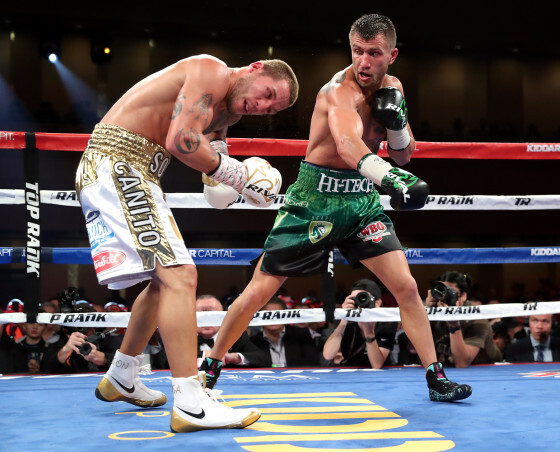 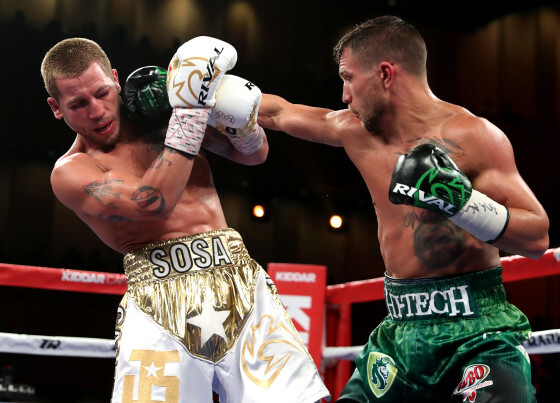 Lomachenko (8-1, 6 KO’s), who defeated his third former champion in a row, was a little too much for Sosa (20-2-4, 15 KO’s), who never stopped trying despite being outmatched. 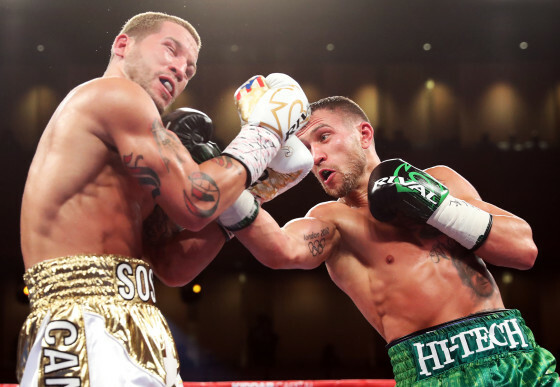 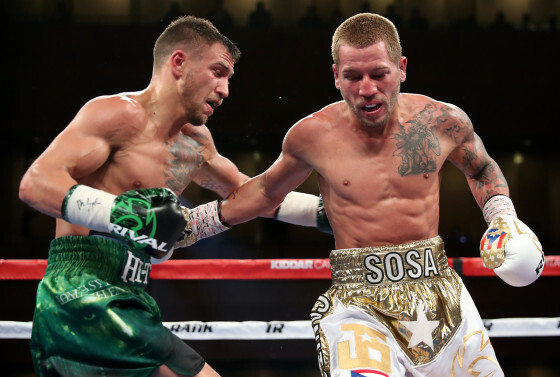 Following the ninth round, Sosa’s corner wisely elected to halt the action in the face of Lomachenko’s dominance. 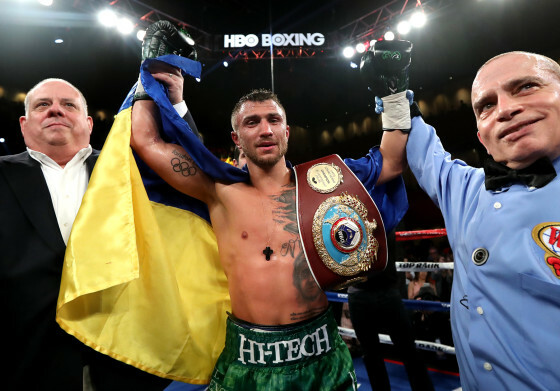 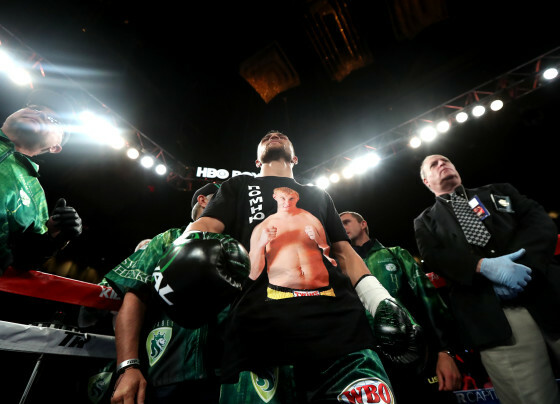 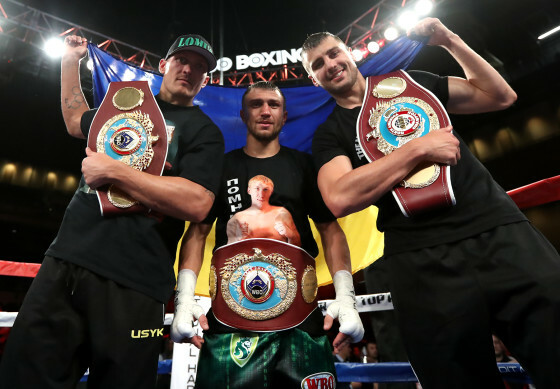 There are several of options on the table for the 29-year old from the Ukraine, including a possible move to the lightweight division.